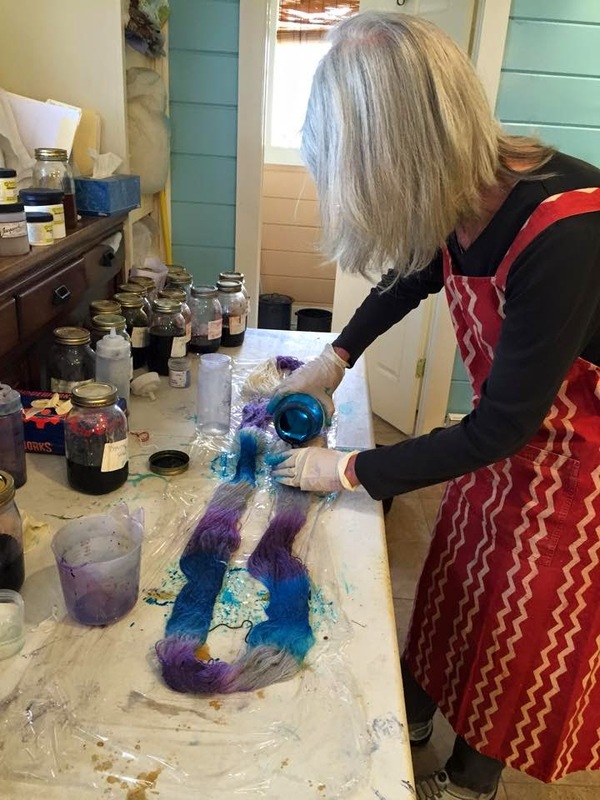 Catherine Holman Folk Art: Learn Something New! This story starts many years ago when my daughter, Amber, came to me wanting to learn to knit. She was young and didn't have the patience to get past the point where she wasn't so tense and her knitting so tight that you couldn't get the needle to slide under the stitches. Step forward a few years and she is now a knitting animal! We call her the bag lady because she takes a large bag of knitting everywhere we go. She even knitted through the Royals games this year and that's hard to do when you're screaming and cheering on your favorite baseball team! Now lets go back several more years. Melissa, a painting pal of mine, started taking acrylic folk art classes with me when Amber was just a youngster. I hadn't seen her in years even though we live in the same small town. Isn't it sad how we lose touch with people we enjoy? Step forward several years once again and I found Melissa on Facebook. I found out she had a Facebook page called Barefoot On The Farm and started reading up on what she'd been doing all these years. Melissa is one of the most talented down to earth people I know. She and her husband built a house in the country and added a studio for her to practice her many talents. We like so many of the same things. The difference between us is that she isn't afraid to dive in and try something new. She thinks big. Where I love to go out and buy beautiful yarn, Melissa raises sheep, spins her own fleece, and on and on until she has a finished product. She also has several looms and weaves beautiful items as well. Melissa, as I mentioned, has many talents including photography. Me, I just steal my daughter's photos for this post from Facebook! Being an artist, I don't encourage this kind of behavior. Thanks Amber! Amber has been wanting to learn to dye her own yarn and when I talked with Melissa she said that she would love to teach us how to do that. 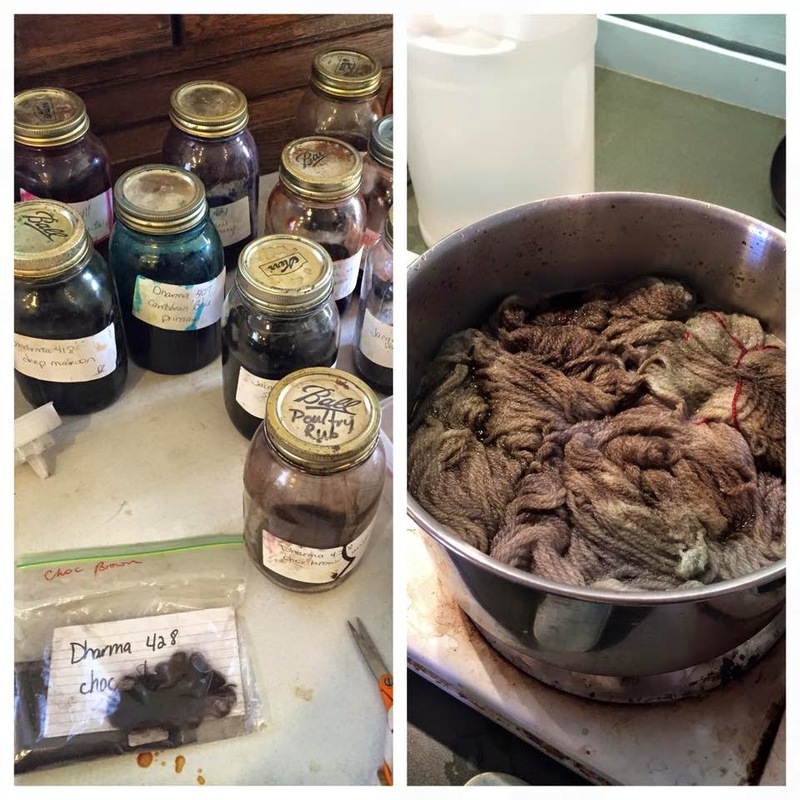 In these top two photos we are learning to kettle dye our wool skeins. We felt like chemists with all the bottles, adding a splash of this and a little of that. Someone mentioned on Facebook that the photo above looks like a large pot of pasta! Here I'm learning to hand paint my yarn. Fun! 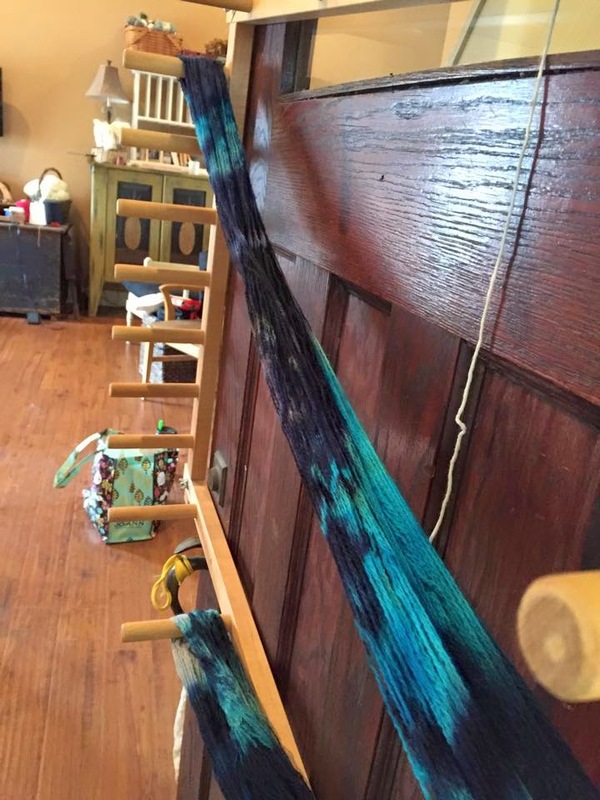 This is Amber's hand painted yarn. I love this one and can't wait to see what she makes with it! The one with the arrow is the same one in the previous photo. 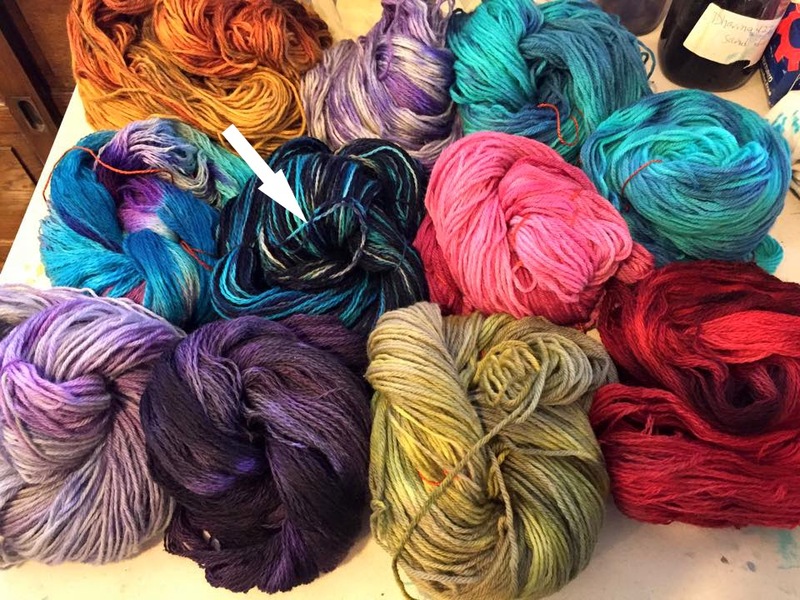 We each finished 6 skeins of yarn and we were like kids in a candy store! The colors were so yummy! After all this fun we then went out and got introduced to the sheep, chickens, and pigs. My friend Melissa is living the life on the farm and knows how to live her dream! Don't be afraid to dream and go out and learn something new! 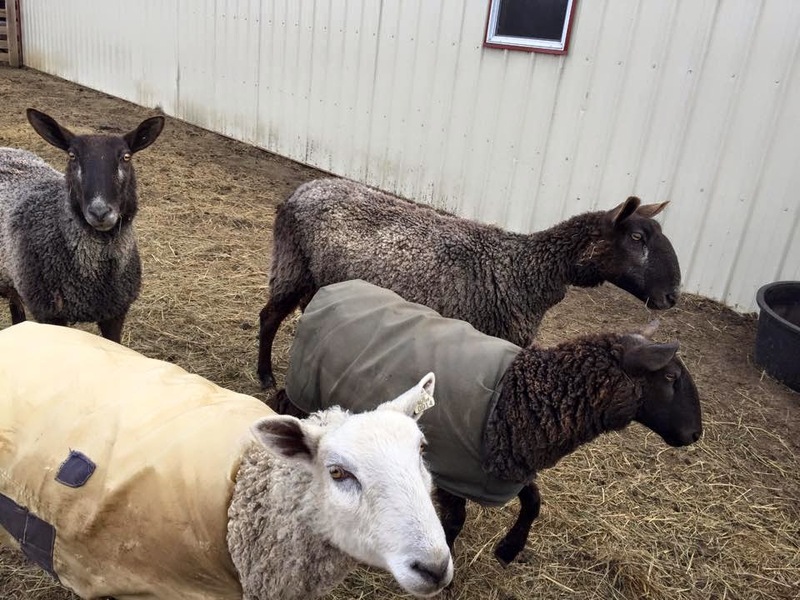 Melissa also creatively named all her sheep after herbs. Sweet don't you think? So sweet of you to write about your day at my studio. Thanks for saying such nice things, quite an honor from an artist like you! I enjoyed spending the day with you and Amber! We truly did have a great time Melissa and thanks again for everything! Melissa is a Renaissance Woman! She is living many gals' dream. It looks like fun! Laughed at your description of a beginner's knitting. We all had those experiences. 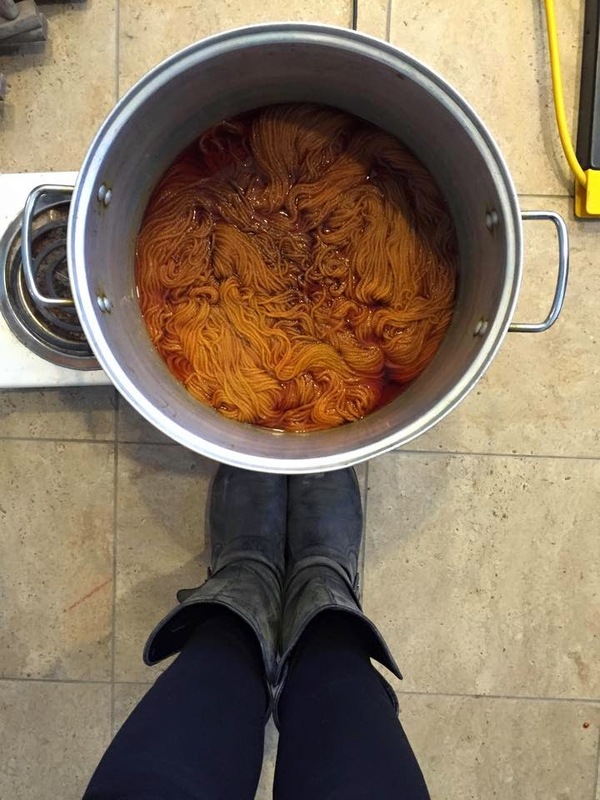 Hope to see what Amber makes from that beautiful yarn. What Kind of colours do you use, herbal colours?